Looking to improve your smile? Try Dental Veneers at Mt. Horeb Dental, located in Mount Horeb, WI. Often an alternative to crowns, veneers are very thin pieces of specially shaped porcelain or resin that are glued over the front of your teeth with little or no anesthesia needed. They are the cure for teeth that are discolored or chipped, have small holes or pits, misshapen or crooked, or for the correction of unwanted or uneven spaces. Unlike crowns, veneers won't require the dentist to remove much of the tooth itself in most cases. Veneers are created from an impression taken in your dentist's office. Your custom veneer is then cemented directly onto your tooth. Teeth are prepared for veneers by lightly buffing to allow for the small added thickness of the veneer. Veneers are thin, like contact lenses, and will usually only need tooth reduction of 0.5mm to 1.0mm. If a drastic change is being made for the result you want, reduction may be 1.0mm to 2.0mm. A mold is taken of the teeth, from which the veneers will be modeled after. 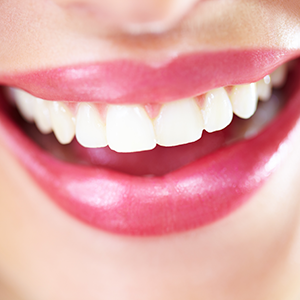 Temporary veneers will be placed and worn until your permanent veneers are ready. While wearing the temporary veneers, advise your cosmetic dentist of any adjustments or changes you would like made, such as in shape or size. These changes will be translated into your permanent veneers, so excellent communication between you and your dentist is important in achieving your new smile.